Many many Turns ago dragonmen served the people as protectors from the deadly silver strands known as Thread. Over time their numbers decreased as they had every Interval. The dragons always came back as did the brave men and women who rode them. This time was different. At first the Dragonriders were certain Thread would come even after two hundred Turns. The Queens did not lay more eggs but small clutches. Eventually, the Lord Holders known for their greed and longing to rule Pern without the dragonmen, were not convinced Thread would be coming back. Three hundred Turns had passed and there was no record of a long Interval. So it was that the Dragonriders were banished from the Northern Continent to dwell alone in the South. Another hundred Turns passed and no sign of the dragons or their riders remained except in teaching songs sung by Harpers. Had they left Pern to fend for itself? Were they gone forever? As gloomy as that idea is the next is harder to bear. The Holds are now on the brink of Civil War. Thread believed to be legend by most Holders, bis well on its way, creating dust storms in northern High Reaches and parts of Telgar. Though not all of the Holds believe this to be true Telgar, High Reaches, Igen, Nerat and Keroon have joined forces and are about to embark on a journey to the Southern Continent to search for the Dragonriders. Who could fault them for their ancestor's mistakes? 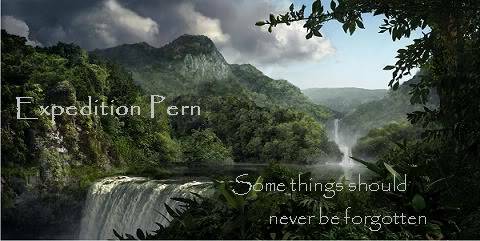 The rest of Pern, not so pleased with this idea, are prepared to go to war over the issue. They are unaware that the mission is already underway. The Crafthalls sent their support to the loyal Holders by giving one of each of their apprentices to the mission. The loyal Holders were not going to let the Crafthalls get all of the glory and so decided to send their own children and other youths deemed worthy. All people who would not be missed. The youths were sent instead of older people for who could blame a teenager for the mistakes of their forefathers? They were stronger and healthier than older people and they would not be missed by those seeking to find out about the mission at hand. It has been two seven days since the mission started. They were on their way to the unknown. Beyond the white shores of the Southern Continent lay their destiny. Our Clutching has happened!! Stop by for Egg Guessing! * The Enchanting Great Queen Egg - Large and beautiful, this queen egg is a stunning shade of gold. The egg itself is of a slightly darker hue than it’s sunny-colored mother, but it still holds that same iridescent sheen as Aeriath. The bottom is a darker shade, and as it travels upward, the color slowly fades until there is a spot of white-gold at the tip of the shell. Upon approaching, you can feel this egg weighing you, as if she is judging if you are worthy or not. If you still have the courage to draw near, the Enchanting Great Queen Egg exudes power, a sense of royalty, and confidence. *The Bloody War Egg – One of the darkest eggs, the Bloody War Egg appears dangerous. Black makes up the greater part of the coloring, dominant on the bottom and top while a dark grey band stretches across the middle. Deep, blood-red splatters can be found throughout the shell in a macabre pattern. Pulsing with courage and masculinity, this one leaves little to the imagination. * The Lightening King Egg – An unusual design, this egg is of mostly a muted shade, dark and light greys swirling about the shell like thunderclouds. However, streaked through the cloudy patterns are thin veins of bright yellow, threading in and out of the hazy greys like lightening. An aura of valor and a strong will constantly surround the Lightening King Egg. *The Sweet Love Egg – One of the most unique eggs to be seen, the Sweet Love Egg is a distinctive collection of colors. Pale, soft pink is the dominant hue for the shell, covering from top to bottom in one uniform shade. A slightly darker pink is brushed about in small, uneven patches, as well as tiny sprinkles of white. This egg feels gentle and affectionate. We are in need of many Candidates as this is a large clutch... and perhaps the sign of Threads inevitable return? Our clutch theme is Songs of Olde, based on Gods and Goddesses of many cultures. Do you have what it takes to Impress a legend?